This week Mark Oppenheimer of the New Republic wrote a provocative essay called “Stop Forcing Your Kids to Learn a Musical Instrument” that asks why we, by which I think he means affluent, educated, and usually white parents, make our kids study classical violin, piano, and ballet. He meant to say making your kids play musical instruments as part of “some upper middle-class acculturation plan” is a problem. The article, I admit, made me, and as far as I can tell many others who play or teach classical music, mad. But he asks good questions. 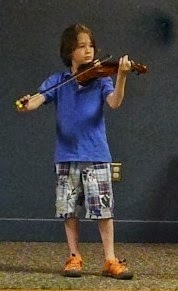 Why should these kids learn violin and not guitar, which they can learn quickly and sing at a campfire? How many people who studied the violin or piano as a child still play? And why do "we"—the affluent, mostly white bourgeoisie—cling to a tradition with roots in nineteenth-century European parlors? Oppenheimer reminds us that kids can learn to make musics other than classical music. But other kinds of music take hard work, too. The campfire guitar thing notwithstanding, good guitar players practice as hard and with as much orthodoxy as any violin player. Virtuosic guitar solos quote Vivaldi, Paganini, and even Kreutzer etudes. And the point is not, as Paul Berman says in an articulate response, that classical music sounds somehow bigger and more sublime than other kinds of music. For him, the Mendelssohn violin concerto stands as “one of those nineteenth-century violin pieces that manages to express a combination of the plaintive, the grand, and the mathematical. If you are listening to the performance of the Mendelssohn in the right spirit or God knows if you are yourself a performer, you will find yourself in the presence of a majestic something or other that is beyond all something or others. … Feelings of triumph will swell in your heart.” To me that concerto brings back bad memories of listening to young violinists saw away at that tune. Some classical tunes do feel sublime to me, and I know the feeling he articulates. For me it’s the Brahms Requiem. But that’s me—a forty-something viola player. It’s not universal. My jazz colleagues would argue that jazz comes with the kind of sublime potential that Berman hears in classical music. Jazz, a music that comes not from the nineteenth-century parlor but from African American traditions, requires intense technical and theoretical chops that remain elusive to many of the world’s best classical musicians. Hip hop, often held up as the most relevant to the most diverse group of kids, takes immense skill. Kids who learn to do that well need as much discipline and training as a good cello player. But none of this is the point either. And whether or not Oppenheimer and I make our kids take violin lessons is also not the point. In the interest of full disclosure, I do make all three of my kids take music lessons. The real question is why more kids don't have access to violin lessons, to ballet, to hip hop, and to guitar—all of which have the potential to lead to a life-long creative practice. These endeavors do much more than build self-confidence and perseverance. 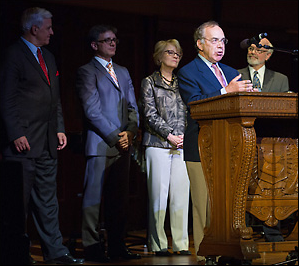 Engagement with the arts transforms the ways in which students experience their environments. Exposure and experience with the arts gives kids a chance to develop their own creative impulses. Furthermore, the arts facilitate the development of impulse control, problem solving, executive functioning, and resiliency. Sure, it’s wrong to assume that classical music speaks to every child, and it’s ridiculous at some level to assume that all middle-class kids need to play an instrument. But it’s also wrong to assume that since classical music doesn’t speak to some kinds of children, they shouldn’t get the opportunity to do it. Educational studies demonstrate correlations between arts activity among under-resourced youth and subsequent levels of academic performance and civic engagement. The achievement gap is a well-known problem, but there also exists a very real artistic gap, which does just as much damage. As the cultural gap widens between children living in poverty and affluent kids, those growing up in poverty feel progressively more alienated, first from their public schools and later from their universities. The responses to Oppenheimer's article (and his heartfelt reply) suggest that this issue touches a chord. We all write from our own experience and passions. I am a classical musician and a music professor at the University of Virginia, a hold-out for bourgeois education; huge numbers of our students participate in fine arts. My children all begged for music lessons, but some weeks I have to make them do it, just as some nights I have to make them brush their teeth. Often they’d rather play outside, fight with each other, or even, dare I admit it?, play computer games. But some days they love it. I don’t care if they play their instruments in twenty years, but I do care that they have the option. I also run an arts community engagement program that pairs U. Va. students with children from under-resourced communities. The kids mostly come from African American families in which they will be the first to attend college. Mostly they have not been to live arts events of any kind outside of school. Our two best events last year were a step show and a classical chamber music festival featuring a movement of the Brahms Serenade. One of my favorite moments in this program involved a ten-year-old fourth-grader who comes from a very tough situation asking the professional flautist, “Hey, have you ever heard of The Magic Flute?” He did this in a hall where fifty years ago African Americans would not have been able to sit and listen. I have no idea and do not care all that much whether he or any of the other kids we work with will play musical instruments, pursue fine arts, join a step team, perform spoken work, or any other kind of art. But they need to have that option. I certainly hope that they do something creative, and I certainly hope that they feel comfortable in a variety of artistic environments. The fact that they don’t reminds me that whether or not I make my kids come in from outside to play classical music instruments constitutes a kind of first-world problem that I am very lucky to have. Bonnie Gordon is Associate Professor of Music and Director of Graduate Studies in Music at the University of Virginia. In the autumn of 1832, when Maria Malibran (1808–36) was at the height of her fame—recognized widely as one of the most accomplished and exciting prima donnas touring the international operatic circuit—she arrived at Bologna’s Teatro Comunale where she took on the trousers role of Romeo in Bellini’s I Capuleti e i Montecchi (Venice, 1830) for the first time. No different from other celebrated singers of her era, Malibran was accustomed to approaching unfamiliar scores with a sense of freedom, making use of aria insertions when necessary. What she and her co-star Giuliettas did with the final scene of I Capuleti e i Montecchi, the “tomb scene,” however, was extraordinary: they eliminated all of Bellini’s music and replaced it with the corresponding scene from the older, but still popular, Giulietta e Romeo by Nicola Vaccai (Milan, 1825). A resounding testament to the fascination that this version continues to exert is the recent publication of two new scholarly explorations of the topic: the first, an expansive article by Michael Collins sketching out the production history of I Capuleti e i Montecchi; the second, by Claudio Toscani, a detailed exploration of the reception of the tomb-scene alteration throughout European centers during the nineteenth century. (Toscani’s essay was written in conjunction with his work as editor of the critical edition of I Capuleti e i Montecchi. )* Collins and Toscani introduce a pair of important, and overlapping, details: the startling discovery, for one thing, that Maria Malibran was not, in fact, the first singer in the role of Romeo to perform Vaccai’s tomb scene in place of Bellini’s. Whether or not Malibran was the first to change the tomb scene, however, that version was soon widely known as the “pasticcio alla Malibran.” It was she who generated the fashion. For another: substituting the Vaccai ending was not the only alteration that Malibran and her Giuliettas made. 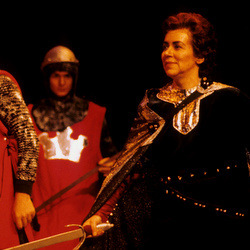 On the occasion of her initial appearance as Romeo in Bologna, she and Sofia Schoberlechner eliminated the Act I scena e duetto, “Sì, fuggire: a noi non resta,” in favor of a new duet: “Tremante, palpitante,” composed by Filippo Celli for his little known and little performed opera Ezio (Rome, 1824). This was well received: the critic for Teatri arti e letteratura commented that “the duet by Cavalier Celli from Ezio, which possesses many good qualities, above all in the Largo, was performed with the most exquisite perfection that it would be absolutely impossible to surpass it, and even one might say, to equal it.” Yet there is no evidence that any Romeo-and-Giulietta sang it in Bellini’s opera ever again. By contrast, for every production in which Malibran participated, she and her co-star (either Schoberlechner or Giuseppina Ruiz-Garcia) interpolated Mercadante’s “Vanne: se alberghi in petto” from Andronico (Venice, 1821)—this time replacing none of Bellini’s music. Mercadante’s duet had a long-lasting impact on the performance history of I Capuleti e i Montecchi that—like the tomb-scene alteration—was also tied to Malibran’s unique biographical story, or rather, to one of its most interesting facets: her premature death following a violent horse riding accident in 1836 at the tragically young age of twenty-eight. —Adapted from “Maria Malibran, I Capuleti e i Montecchi, and a Tale of Suicide,” ch. 4 of Changing the Score: Arias, Prima Donnas, and the Authority of Performance, AMS Studies in Music (Oxford UP, 2009). *See Michael Collins, “Bellini and the Pasticcio alla Malibran: A Performance History of I Capuleti e i Montecchi,” Note su note 9–10 (2002): 109–52; and Claudio Toscani, “Bellini e Vaccaj: peripezie di un finale,” in Vincenzo Bellini nel secondo centenario della nascita, ed. Graziella Seminara and Anna Tedesco (Florence: Leo S. Olschki, 2004), 535-67; also Toscani's edition: Vincenzo Bellini, I Capuleti e i Montecchi, ed. Claudio Toscani, in Edizione critica delle opere di Vincenzo Bellini, vol. 6 (Milan: Ricordi, 2003), xi–xxix. In addition, Philip Gossett discusses this alteration and its aftermath in Divas and Scholars (University of Chicago Press, 2006), 211–12. Hilary Poriss is Associate Professor of Music at Northeastern University in Boston. She is editor, with Roberta Montemorra Marvin, of Fashions and Legacies of Nineteenth-Century Italian Opera (Cambridge UP, 2009); and, with Rachel Cowgill, The Arts of the Prima Donna in the Long Nineteenth Century (Oxford UP, 2012). Humanities. 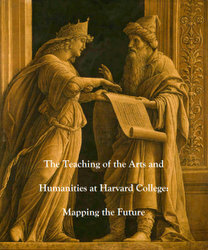 A summer of glossy manifestos and thoroughgoing press response kicked off when Harvard published its treatise on the future of arts and humanities there. In mid June the American Academy of Arts and Sciences released its report on the status of humanities and social sciences in the nation: The Heart of the Matter. And the first repercussions from Stephen Pinker's piece in the New Republic of 6 August, "Science is Not Your Enemy" (and its in-your-face subtitle: “an impassioned plea to neglected novelists, embattled professors, and tenure-less historians”), are still being felt. Oh, and the House Appropriations Committee proposed to cut NEH funding by 49%.